Summary: Rectangular shawl knitted in one piece. Sewn on pockets. From the pattern description: Women on the Aran Islands often wear woven plaid shawls from Scotland. 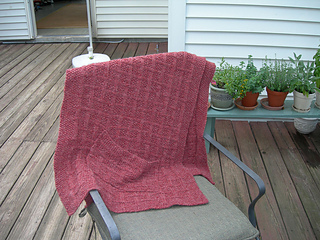 The basket weave pattern and the pockets on this shawl are based on a modern Scottish woven plaid shawl.